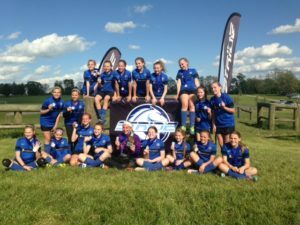 Congratulations to CSC 04 Girls Gold and Coach Pete Akatsa for being a Finalist at Stride 2017. After qualifying for the semi-finals, the girls got the win over the undefeated Impact GFC Gray in a 1-0 shutout. The finals ended with a tie in regulation. They finished a strong second to Columbus United after a Penalty Kick shoot out.